Each winter since we bought the farm, two geese come and make a nest in the same place. 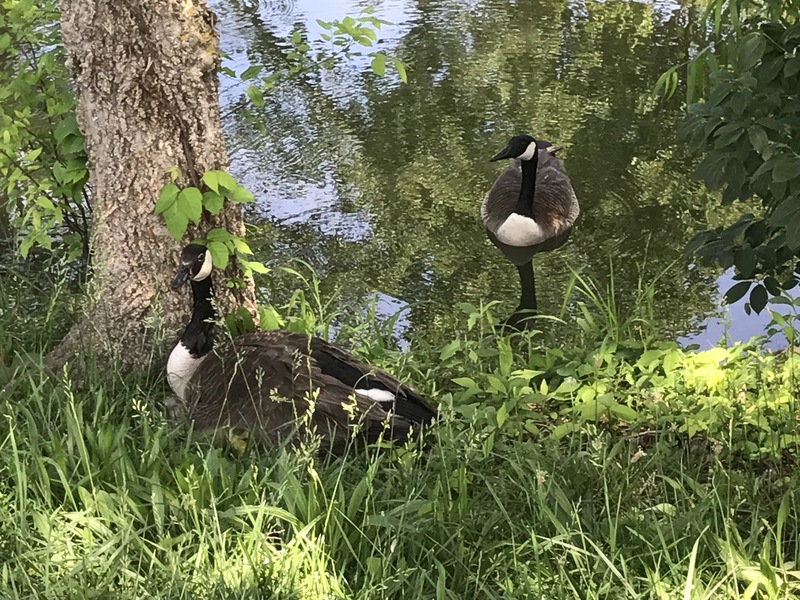 We like to think they are the same geese and we affectionately named them Goosey & Gander. This year turtles robbed the nest and ate the eggs. But Goosey made a second nest in a different area and we’ve been patiently waiting for the new arrivals. Today we saw the first one sneak out from under mother goose.